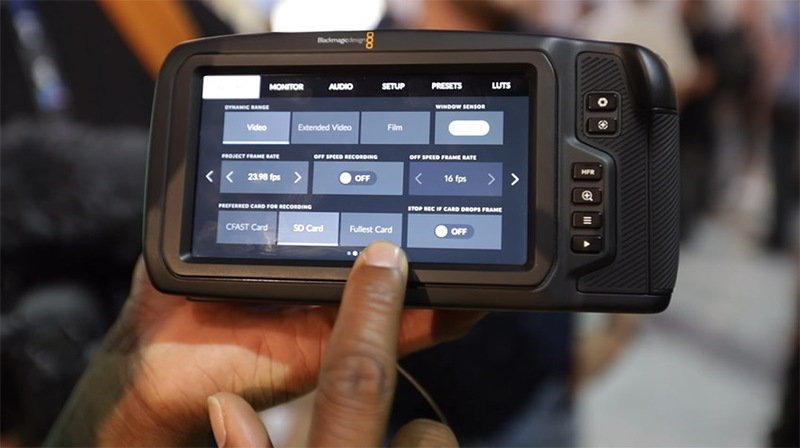 Back in April during NAB 2018, Blackmagic Design has finally spilled the beans on the long-awaited Blackmagic Design Pocket Cinema Camera 4K. The company promised to deliver their latest generation camera in September 2018 packed with a brand new Micro 4/3 sized sensor that records up to DCI-compliant 4K (4096 x 2160) video at up to 60 fps. Not only that, but the newcomer will also boast a Dual Native ISO to 25,600, 13-stops of dynamic range, 10bit ProRes or 12bit Raw recording, multiple media storage options, and much more. With the enticing offering priced at a competitive $1,295, some considered the BMPCC 4K as too good to be true. While the Australian company actively touts the Pocket 4K’s impressive shooting capabilities, some filmmakers have criticized the compromises made to create a camera with such a low price tag. Filmmaker Brandon Washington outlines five aspects of the BMPCC 4K to consider before pre-ordering the camera in the early stages. First and foremost, bare in mind that the Blackmagic’s newest camera doesn’t feature any continuous autofocus capabilities. During a time where Canon and Sony taunt the industry with their fast-working autofocus technologies, Blackmagic’s exclusion of autofocus has been considered as a real deal breaker by many filmmakers. Without autofocus, both novices and advanced users who are used to shooting fast-moving subjects will find it difficult to operate the camera, making the BMPCC 4K a poor choice for run-and-gun filmmaking situations. If you are planning on purchasing the Pocket 4K nevertheless, ensure that you have enough experience manually pulling focus. In addition, you’ll want to factor in a well-built follow-focus system to use with your camera for proper focus pulling on the fly. Another caveat to consider with the BMPCC 4K is the fact that the camera lacks in-body stabilization. Without this feature, expect your handheld footage to be way more unstable than when shooting with any other camera that provides this functionality. Plus, when using stabilization systems such as gimbals or steadicams, ensure that your rigs are properly calibrated to make your camera less prone to jitters. Third, this camera features a micro four-thirds mount (4/3”). While this is not a big deal for users transitioning from Panasonic cameras, the choice of lens mount for the BMPCC 4K makes it challenging to use a wide range of quality lenses natively. Of course, getting an appropriate Metabones Speedbooster is still a viable option, but you’ll have to account for at least $700 for the adapter alone. Since this camera can shoot 4K RAW at 60 fps, you will need a powerful system to be able to handle and edit the captured Raw footage in real-time without transcoding. Furthermore, not only will your computer require enough power to work with your Raw files, but you will also need a lot more hard drive space to store your media. When shooting at 4K RAW 60 fps, expect big file sizes for even just a few seconds of video. That being said, you will need to invest in high capacity storage that is not only spacious but fast. The last, and most important aspect to consider about the BMPCC 4K is the actual camera release date. Unfortunately, Blackmagic Design is infamous for their product shipping delays. 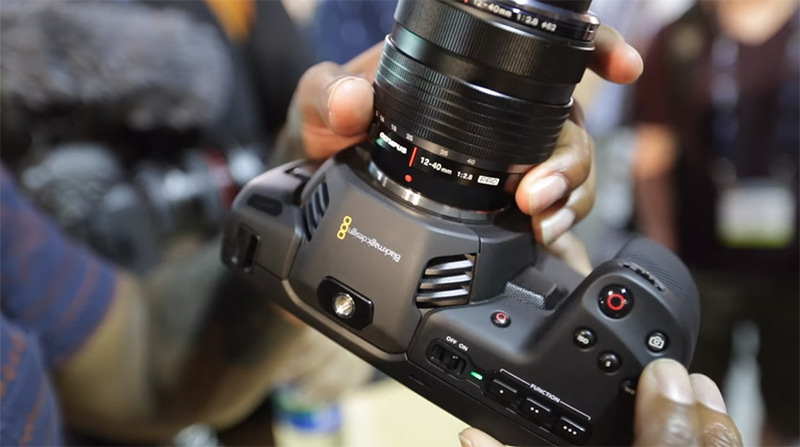 In fact, the production model of the BMPCC 4K shown at NAB 2018 was not even the final design of the product, so that you can expect some software and even hardware tweaks down the line. In other words, it’s possible for Blackmagic to add/remove/alter features previously shown before the camera is even shipped. So, if you’re someone who’s considering the BMPCC 4K, it would be better to postpone placing a pre-order until September to see what the final specs of the camera will be once it actually hits the market. All in all, the Blackmagic Design Pocket Cinema Camera 4K boasts a quite appealing set of features unheard of for its size and price tag. However, with the compromises made coupled with the level of uncertainty behind the camera rollout, maybe it would be in your interest to wait another month or two before taking the leap.